Gifts of a Wordsmith Workshop Features Poet Yogi E.C. The next adult poetry workshop, Gifts of a Wordsmith, will be held Tuesday, February 5, from 6:00 to 8:00 p.m. in the Storycastle on the second floor of the Central Library. Featuring special guest Yogi E.C. 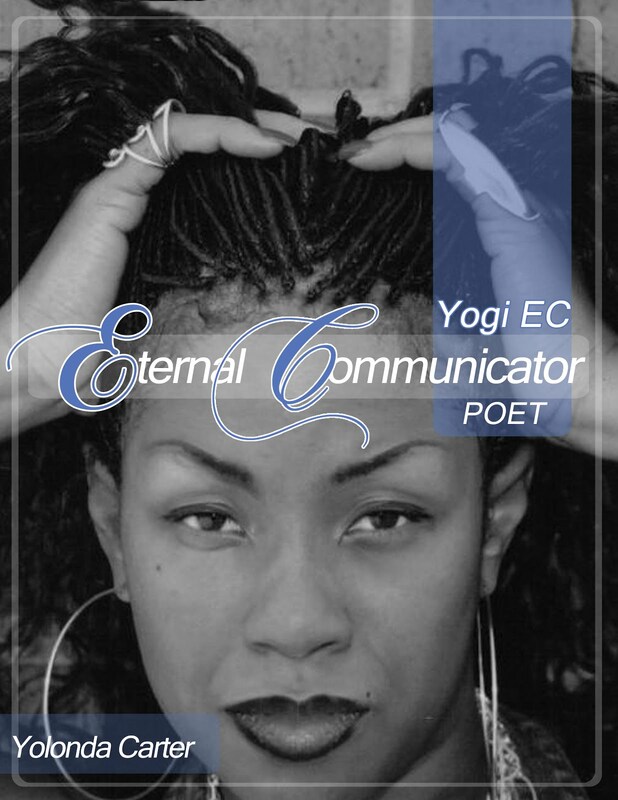 (Yolanda Carter), poet, artist, and author of the book Eternal Communicator/Chameloen Assassin, a collection of poetry accompanied by photography by Marika N. Johnson. Yogi's resume includes commissioned work for ABC 33/40’s Freedom Riders, being a finalist for Turner South Television’s In My South competition, and vocals for Alabama Public Television’s soundtrack for the Emmy Award Nominated documentary, Mr. Dial Has Something to Say. Gifts of a Wordsmith is held every first Tuesday at the Central Library. Labels: Gifts of a Wordsmith, Yogi E.C. This Saturday’s Local Authors Expo at the Birmingham Public Library, which will be from 10 a.m. to 3 p.m., will be full of authors who followed a dream of writing a book. 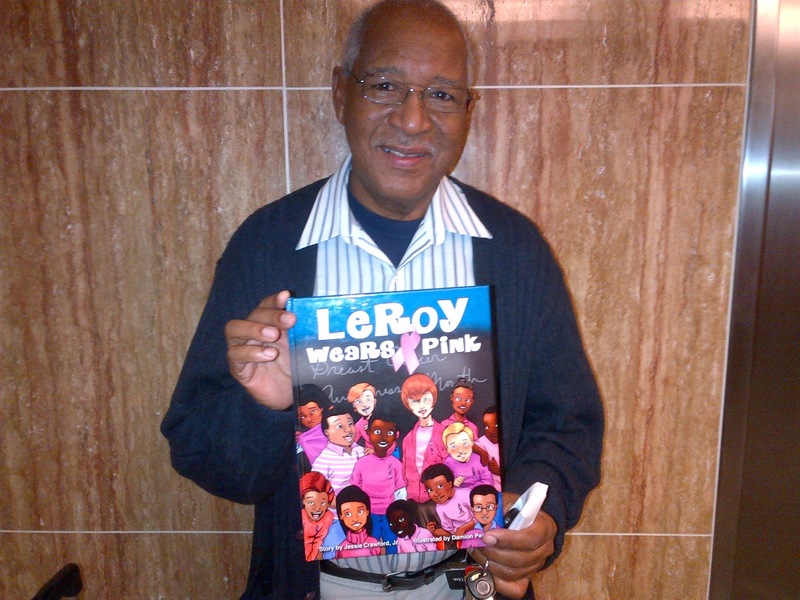 One of them is Jessie Crawford, a retired civil service worker from Birmingham, AL, who didn’t realize he had material for children’s books until his granddaughter pointed it out to him. Crawford and his wife had been keeping their granddaughter, Noni Crawford, ever since she was a baby. When she learned to talk, Jessie Crawford recorded the child’s cute sayings about her "Pop Pop'' in a notebook. In Noni Crawford’s eyes, there was nothing that her “Pop Pop’’ couldn’t do,’’ Jessie Crawford said. 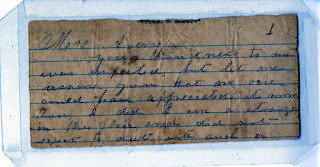 “She was always bragging on her grandfather,’’ he said, adding that he recorded her comments for five years. When Noni Crawford was about seven or eight years old, she found the notebook in one of his folders, liked what she saw and said, “Pop Pop, this would make a great book. You’ve got to write a book.’’ Jessie Crawford followed her suggestion and got to writing. Write every day, even if it’s just a little bit. It keeps your thought processes going and keeps the story alive. If you feel stuck, just start. Convince yourself you can do it. If you don’t know what to write, look at your life. Life stories can be rich in content. Look at stories from friends, family, etc. Stay focused. Don't let outside distractions discourage you. "I'm a just an old-fashioned, country storyteller,'' he said. "The biggest satisfaction comes to me when someone picks up my books and and says, 'I really enjoyed it.'" For more information about Crawford’s books, go to www.jessiecrawfordbooks.com. Saturday’s expo will feature nearly 100 authors with books that cover fiction, non-fiction, inspiration, civil rights, cooking, sports and more. For a list of the authors and a publishing company scheduled to appear at the expo, go to http://www.bplonline.org/programs/LocalAuthors/. Last week I posted some pictures on West End's Facebook page. 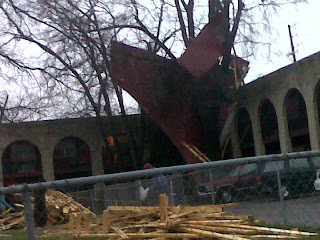 It was a picture of the apartment building behind the library and the roof had been blown off. 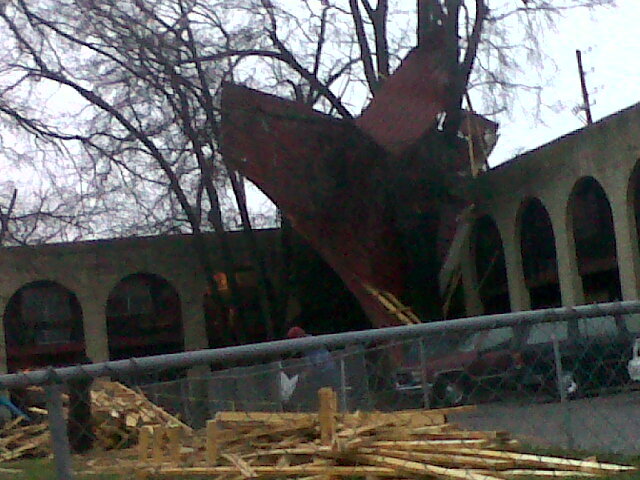 Part of the roof was in a tree and the other part was on the parking lot and grounds of the apartment complex. Because of this I started thinking about home improvement resources. 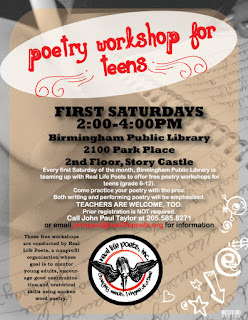 Flow Tactics Teen Poetry Workshop for grades 6-12 is held the first Saturday of every month, 2:00-4:00 p.m., in the Youth Department Story Castle at Central Library. February's workshop is scheduled for Saturday, February 2. John Paul Taylor of Real Life Poets, Inc. is the coordinator. For more information, call Taylor at 585-8271 or email him at johnpaul@reallifepoets.org. The moon is full in Moonrise Kingdom as those who know Wes Anderson’s films would expect. The moon is always full in his films—always. While this story is told as a children’s fable, it is intended for and is best suited for adults. Set in 1965 on the fictional island of New Penzance off of the coast of New England, we find two precocious pre-teens set to run away. They meet at a community theatrical production of Noah’s Ark and spend some time afterwards as dedicated pen pals. Their names are Suzy and Sam, played by newcomers Kara Hayward and Jared Gilman. Soon they make the decision to escape. Sam is an outcast orphan who is at Camp Ivanhoe as a Khaki Scout. He deserts his camp much to the dismay of his regimented camp leader, Scout Master Ward played by Edward Norton. Suzy escapes her dysfunctional attorney parents, played by Bill Murray and Frances McDormand. They embark into the wild on their own devices. Sam is heartened by his own sense of survival skills. Suzy, in heavy eye make-up, also feels intrepid and brings along her pet kitten and a battery operated record player to play her favorite French pop records. The rest of the plot involves Suzy’s parents, Sam’s scout troop, their leader, and a local police officer played by an unrecognizable Bruce Willis, all seeking to find them as a storm (turning into a hurricane) approaches. Other than the two previously unknown leads, the cast includes many well-known actors: Bill Murray, Frances McDormand, Bruce Willis, Edward Norton, Tilda Swinton, Jason Schwartzman, Harvey Keitel, and Bob Balaban. All of the roles are exquisitely performed. Most of these excellent players have worked before with Wes Anderson—the most frequent being Jason Schwartzman and Bill Murray. Moonrise Kingdom marks Edward Norton’s first time to work with the director and he fits into the ensemble so seamlessly that one hopes to see him in future Anderson films. The music plays a major role in this film. Usually in a movie the music is meant to be merely atmospheric. It is meant to be transparent if not out-right subliminal. Whether plucky or pristine, regal or military, the music of Moonrise Kingdom cannot be missed. In the opening, Suzy (at her home) puts a record on her player with Benjamin Britten music and a narrator explaining the different sections of the modern orchestra, not unlike how baby-boomers might remember Andre Previn using Tchaikovsky’s Peter and the Wolf to illustrate the sounds of various instruments back in the 1960s (the same period as the setting of this film). Beyond the strong presence of the music and the didactic approach, the sheer variety of the musical contributions demands attention as well. Those represented in the film include Benjamin Britten, Henry Purcell, Leonard Bernstein, Peter Jarvis, Hank Williams, Camille Saint-Saens, Francoise Hardy, Franz Schubert, and the well-celebrated contemporary composer Alexandre Desplat, among others. While this music in combination may not seem very euphonic when listened to on a CD, it is beautifully incorporated into the film and plays a major role in the film’s success. Moonrise Kingdom’s most notable quality is Wes Anderson’s ultra-cultivated style. He is often referred to as quirky, but never zany. Given all the whimsy, there is always an underlying structure that is visually formal and often symmetrical. Anderson’s meticulous style is reflected in Edward Norton’s character, the scout leader. He may come off like a nerd, but all is “by the book” and quite regimented. Anderson often uses dioramas (miniature sets) and this is especially at play in the opening scenes of Moonrise Kingdom as the camera shifts from one room to another, one level to another, Suzy’s home, like in a doll’s house with every decorative detail precisely in place. It is often said of Wes Anderson’s films, that people will either love them or hate them. I think of that same statement for his film The Life Aquatic (for me his least accessible film). I enjoyed The Royal Tenenbaums, but find Moonrise Kingdom to be his most accessible film to date. Check out Moonlight Kingdom soon or any other Wes Anderson films (and never worry about the order in which you view them). And, remember, it is always free at the Birmingham Public Library. Birmingham 1963 focuses on the controversial Children’s Crusade through which civil right leaders launched Project C (for Confrontation) to jumpstart desegregation in Birmingham, Alabama in 1963. In May, 1965 the Children’s Crusade became a model for nonviolent protest when African American children marched for their rights. This account tells how Charles Moore’s photograph of teenagers being brutally assaulted with fire hoses against a building started up enough controversy to bring attention to the level of discrimination occurring, which effectively obliged the oppressive, white Birmingham establishment to move forward in civil rights. Moore effectively became a protester himself because his picture’s details imparted a power that changed history. All Americans became witnesses to the hate and prejudice that were on trial. The photo rallied the Civil Rights Movement and energized the public by highlighting civil rights as a national problem needing a national solution. Lastly, the picture encouraged Congress to finally pass laws to give all citizens equal rights regardless of the color of their skin. Additional, information can be found on African-American History Online databases. One of the many pieces of history housed in the Archives Department: A scrap of a letter written between 1861 and 1865 to Mrs. Avery from "Co. 'C' 14th Regt. Tennessee Cavalry, Campbell's Brig. Jackson Division Forrest's Corps." It reads, in part, "your kindness to me was unexpected but let me assure you that no one could have appreciated it more than I did. I am a stranger in this place. Please accept my most sincere thanks and (allow) me to be your friend." Each year the Birmingham Public Library Archives serves thousands of researchers from throughout the Birmingham area and serves as a resource to the world. In 2012, the Archives assisted researchers from 32 states (from Maine to Florida, Maryland to California) as well researchers from Australia, Canada, Denmark, England, France, Ireland, Japan, and Spain. Our researchers include local people investigating the history of houses and buildings; college students researching class papers, theses, and dissertations; scholars researching articles, books, and museum exhibitions; and film makers working on documentaries and other motion picture productions. To conduct their research, visitors use historic documents such as letters, diaries, and scrapbooks; photographs; maps; architectural drawings; and sound recordings. Most items are stored in files, and a file might contain one photograph or 50 letters. Each file that a researcher requests is pulled by a staff person and delivered to the researcher at their table. Often it is necessary for the staff person to explain the items, how to interpret the information they contain, and instruct the researcher on how to handle fragile documents without causing damage. If the researcher asks for copies, all copies are made by the Archives staff. The Archives staff track all files pulled each day, and recently we hit a milestone. Over the past decade (2002 to 2012) the Archives staff pulled 1,105,022 files for researchers (and then put those files back). Let’s say that again: one million, one hundred and five thousand, twenty-two files. That’s a lot of trips to the stacks. 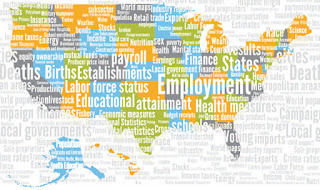 Statistical Abstract of the US - Now Online! Need to learn the birth and death rates for every state? Want to compare household income and education? Interested in tracking changes in unemployment in any given region? Looking for the effects of shifting demographics on the country as a whole? Published annually since 1878, The Statistical Abstract of the United States is the best-known statistical reference publication in the country, and perhaps, the world. 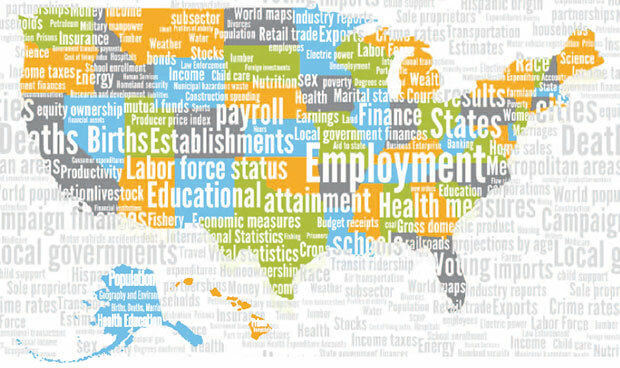 It is the authoritative source for information on the social, political, and economic conditions of the United States compiled from both government and non-government sources, and serves as a snapshot of America. Once published by the Census Bureau, it is no longer printed in its traditional format. However, The online edition of this classic reference is now available at any location of the Birmingham Public Library or at home to BPL users with a valid library card. Click Here to begin exploring this wealth of up-to-date information on the country we all call home. Countless novels have celebrated the American Dream and countless more have indicted it. Few novels have explored the American Nightmare like The Grifters. Jim Thompson has been called the most nihilistic writer in American history. In his novels, no one is redeemed, everyone is damned. Even the straight world, which is only briefly mentioned in this novel of criminals, is implicated in corruption. As William Carlos Williams said, in his introduction to Allen Ginsberg’s Howl, get ready for a tour through Hell. So why read it? Because looking at the shadow side of life is fascinating, and paradoxically illuminating. Because bad characters, as so many have said, are usually more interesting than good ones. Because the plot is relentlessly compelling. 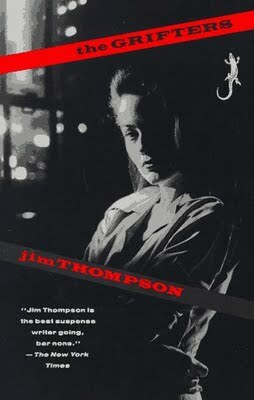 Because Thompson is included in the prestigious Library of America. Because he’s Stephen King’s favorite crime writer. Roy Dillon is a grifter. He rips people off for money without them knowing it. His relations with three women are the center of this story. Lily, his mother, works for the mob. She tries to get Roy to go straight but doesn’t set an overly inspiring example. Carol is hired by Lily to nurse Roy and hopefully marry him. Moira is Roy’s girlfriend. She wants to recruit him for the big con. Grifting is fascinating to read about. Watching Roy employ the smack, the twenties and the tat, you may stop and say, “What just happened?” The process upends normal channels of thought, flummoxes standard expectations. You may have to read about a grift here twice just to catch how the victim’s being fooled. That’s the point of it. It’s so subtle the mark never suspects he’s been had. In Thompson’s world, Roy’s life is the logical extension of free enterprise. People are there not to be merely exploited but fleeced. The price Roy pays is he can’t trust anyone. I mean some of the finest filigreed platinum I’ve ever seen. Practically a work of art. But the stones, no. They’re not diamonds, Mrs. Langtry. Excellent imitations, but still imitations. Thompson’s double use of language provides a description of Moira as well. This sort of diamond-hard prose is on every page of The Grifters. It comes out of the hard-boiled tradition, especially Raymond Chandler’s writing. This is hard-boiled at its hardest, something delivered from the black hole at the unacknowledged center of America, a country that’s not supposed to exist. It throws off poisoned sparks that will haunt you for a long time. 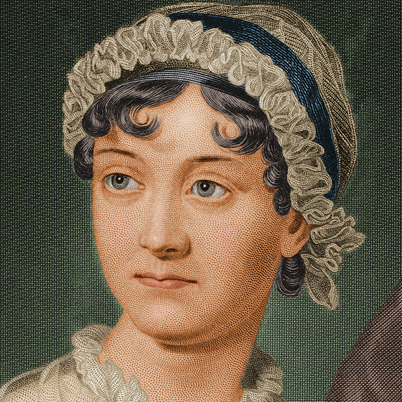 Today marks the 200th anniversary of the publication of Pride and Prejudice by Jane Austen. Listen in as the Jane Austen Centre in Bath, England, stages a 200th anniversary Readathon of the novel. Happy 200th to one of the world's great reads! 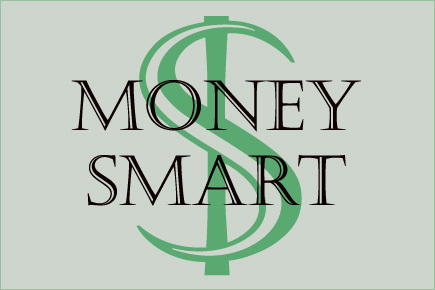 Enhance your financial skills and banking knowledge through a free series of programs for adults at the Southside Branch Library. Mrs. Gilda Coker of BBVA Compass Bank will talk about deposit and credit services, checking accounts, the importance of saving and other topics. All programs are on Tuesday mornings in February from 10:30-11:30 a.m. Phone Southside Branch Library at 205-918-0723 to register. 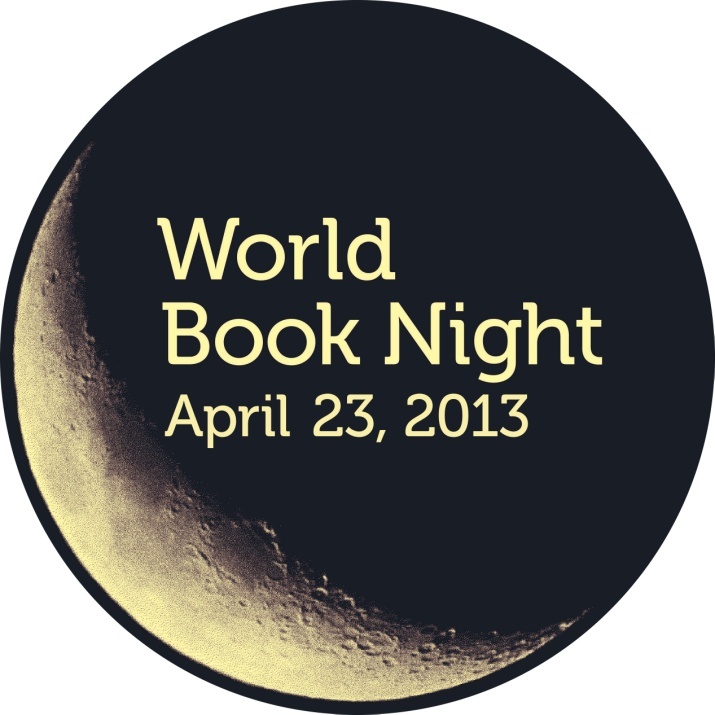 World Book Night-- You Can Help Spread the Love of Reading in Birmingham!! “World Book Night is an annual celebration dedicated to spreading the love of reading, person to person. Each year on April 23, tens of thousands of people go out into the communities and give half a million free World Book Night paperbacks to light and non-readers.” – from the World Book Night website. The Five Points West Regional Library has been accepted as a distribution center for 2013 World Book Night and will be one of the very few sites in central Alabama to pick up book kits for WBN. Birmingham Public Library would like to encourage members of the Birmingham community to volunteer to be “Givers” for World Book Night. By signing up on WBN’s website as a Giver, you will have the opportunity to pick up a set of 20 books & then hand out those books to people in your neighborhood or community. Givers will have the opportunity to choose between over 30 different book titles to hand out. The set of books will be delivered to a local distribution center (such as Five Points West Regional Library) where you can pick up the materials and disperse them on April 23, 2013. BPL encourages individuals, community organizations, religious groups, and everyone else in the Birmingham area to sign up! The deadline to sign up to be a World Book Night Giver is January 25, 2013. If you are accepted as a Giver & have the opportunity to select Five Points West Regional Library as your distribution point, you will be able to attend a Givers’ Reception at the library. During this reception, you will have the opportunity to meet with other people in the Birmingham area who also value reading and community involvement. Who knows your community better than you? If you know a group of people or a certain area in your neighborhood or community that would really use some free books, sign up to be a Giver today! Remember to do so by January 25. For more information and answers to FAQs, check out this link. Wanna See What Books the BPL Staff Recommends? 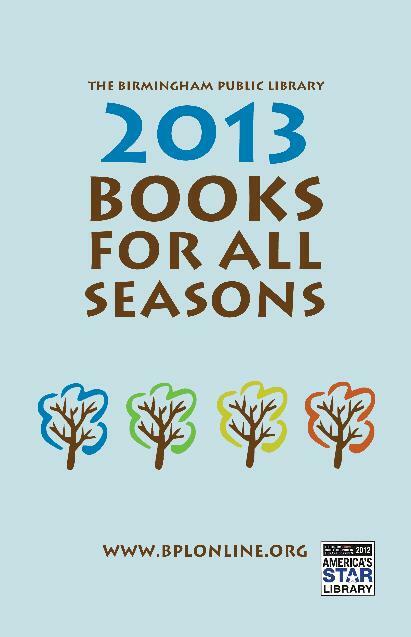 Get Your Free Copy of our 2013 Books for All Seasons! Each year, BPL staff review their favorite books from the previous year (or years) in a free guide called Books for All Seasons, which will be available free to you year-round. Well, as luck would have it, 2013's Books for All Seasons is hot off the press and ready for you now at any BPL location! Books for All Seasons includes recommendations for adults, teens, and children in both fiction and nonfiction. Each book is chosen by a staff or board member as one that they enjoyed reading in the previous year—not necessarily one that was published in the previous year. For children and teens, staff reviewed titles such as Beauty Queens by Libba Bray, Dead End in Norvelt by Jack Gantosand and Haunted Histories: Creepy Castles, Dark Dungeons, and Powerful Palaces by J. H. Everett and Marilyn Scott-Waters. These and many other reviews should appeal to readers of all ages and interests. The Birmingham Public Library staff wants you to find the best books to read for the upcoming year and, with that in mind, we've published this free annual guide to take you, our library patrons, directly to great reads. This picture of big Vulcan comes from our famous Archives Dept (and was "doctored" by some BPL staffers). On Friday, February 1, Bards & Brews travels to the beautiful Vestavia Hills Library in the Forest for the very first time. The Birmingham Public Library’s (BPL) popular poetry performance/beer tasting series begins at 6:30 p.m. with live music featuring Taylor Flannagan, and poetry performances start at 7:00. The February session will be OPEN MIC. Emcee Brian “Voice Porter” Hawkins will deftly guide both novice and veteran poets through an evening of verse with topics that run the gamut from romantic relationships to the local political scene. The program is free of charge and open to the public. Craft beer will be available for sampling courtesy of Back Forty Beer Co., and light refreshments will be served. Attendees must be 18 years or older to be admitted, and 21 years or older to be served. IDs will be checked. Bards & Brews is usually held on the first Friday of the month at various locations around town. The March 1 session will be held at the Five Points West Regional Library located at 4812 Avenue West and will be open mic. Check out the Bards & Brews page on Facebook for more information. This program is made possible by grants from the Alabama State Council on the Arts and the National Endowment for the Arts. 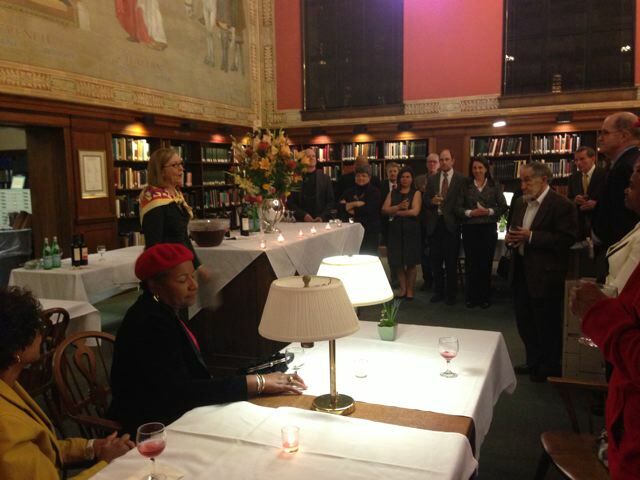 BPL Director Renee Blalock addresses a group of library supporters at a reception in their honor. The Birmingham Public Library hosted a reception in the Southern History department last Thursday honoring upper level donors whose contributions have sustained library operations and special projects for the last two years. Thanks to these supporters, BPL has been able to maintain our services to the public and, even despite the budget cuts of the last few years, has had the opportunity to develop new programs for library patrons—from expanding archival collections to purchasing books and supplies for our branches. We welcome the continued support of the generous people of Birmingham, and we look forward to recognizing and honoring the philanthropists who give so generously to BPL each year! 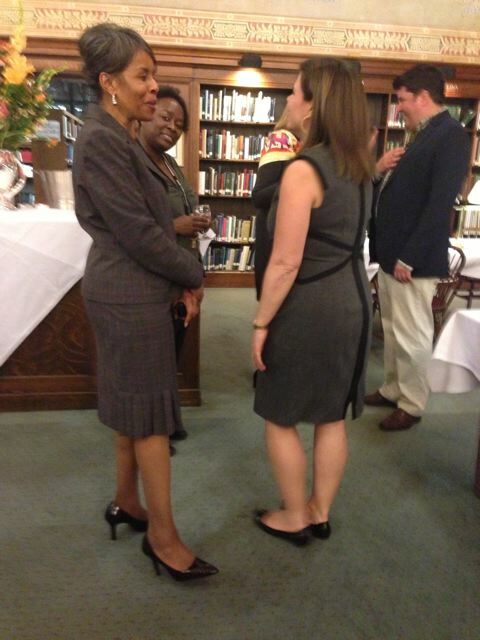 BPL Associate Director Angela Hall (left), Shekera Stanley, and Brooke Coleman. 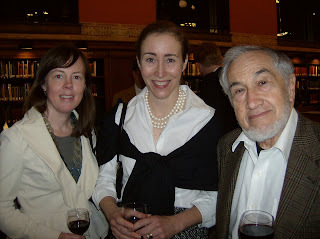 Friends President Regina Ammon (center), Courtney Pigford, and Sol Kimerling. 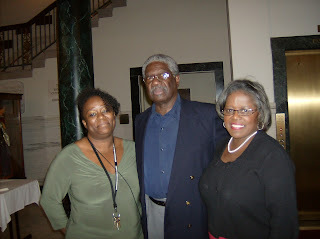 Library board President Gwendolyn Welch (right), Shekera Stanley, and Lewis Blair. One of the best antidotes that I have found for a cold and gloomy winter's day is planning for a summer garden. Very few things can lift my mood on an overcast day as well as reading the descriptions of fruit and vegetable seeds that are found in seed company catalogs. I begin receiving seed catalogs in early December from Johnny’s, R.H. Shumway, Park Seed, Seeds of Change, Burpee, and Gurney’s; yet, none are more worn-out and dog-eared by late January than Baker Creek Seed Company’s full-color catalog of heirloom seeds. 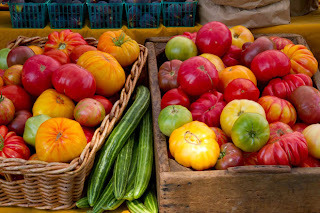 Within the pages of Baker Creek’s Pure Seeds catalog, I first read about tomatoes varieties such as Cherokee Purple, Paul Robeson, Pink Vernissage, Yellow Mortgage Lifter, and Green Zebra. Most seed companies now carry these heirloom varieties, but Baker Creek's catalog always features such lavish photographs and well-written descriptions (often with intricate histories for many of the heirloom varieties) that I return to it again and again when planning my garden. In the spirit of shaking off some winter's gloom, the Springville Road Regional Library will present ‘Springtime Tips and Heirloom Seeds’ on Tuesday, January 29th at 6:30pm as part of our ongoing series of gardening programs. For this program, Master Gardener Mike Rushing will deliver his “gearing up for spring” presentation entitled Mike’s Springtime Tips. Dr. Rushing will focus on what gardeners should be planning and preparing during the colder months of the year in order to have their garden plot ready for planting come spring. We will also have Jere Gettle – the founder of Baker Creek Seed Co. and a man once described by the New York Times as "the Indiana Jones of seeds" – appearing live via Skype to tell us about why growing heirloom fruits and vegetables is vital to our own health as well as the health of our communities. Mr. Getttle will also tell us about some of his adventures while travelling around the world to find heirloom seeds for his thriving business. So come on out and join us and get ready for your best garden ever! Please call 205-226-4081 and ask for Brandon for more information. Isabel Rubio, executive director of the Hispanic Interest Coalition of Alabama, will give a talk on the topic "Every New Generation: Immigrants, Society and the Law in the American South." The first program of this year's Begin the Day: Martin Luther King, Jr. Memorial Lecture series is scheduled for Wednesday, January 23, 12:00 p.m., in the Arrington Auditorium of the Central Library. For more information call 205-226-3631. 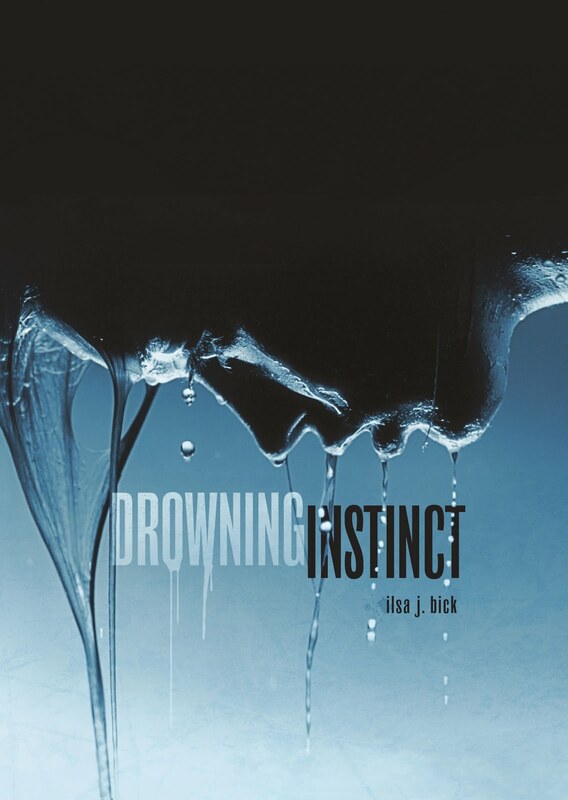 Drowning Instinct was the book that made me realize that I needed to step away from these kind of contemporaries for a while. It's so real and honest and gritty that it hurts me to read. To see a child hurting kills me. Ilsa killed me with Jenna. She was so wounded and so alone and when she finally found the support she needed it was wrenched away from her again. And the story leaves you hanging. Kind of. You know what happens but you really DON'T. You can kinda tell how Jenna's going to do but you don't REALLY know and it's a killer. Is she okay, Ilsa? Please tell me. 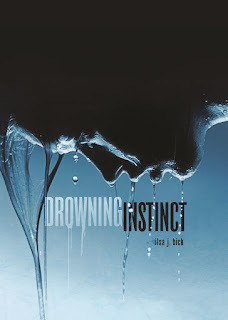 Like Draw the Dark, the story is a bit drawn out and slow at points but that's really the only nominally negative thing I can say about Drowning Instinct and Ilsa's writing in general. She gets so thoroughly into her characters' heads its scary, like she could be automatic writing with a ghost or something. Or she trances out and channels the characters living inside of her. When she's writing she's not Ilsa, she's Jenna and that's why it feels so realistic. That's why every pang and pain and piece of anger jumps off of the page, grabs you by the collar and shakes you until you feel it too. It can't be helped. The story won't let you walk away without feeling something. Jenna isn't just your average overcoming, strong heroine. She's life. She's reality. She's a piece of soul torn and put through the wringer. It's like you can hear her whispering the story in your ear. As she's talking into that recorder the cop gave her, it's like she's sitting right next to you and she's looking you dead in the eye while she's telling it. She isn't just a character that's been through some terrible crap. She hit the delete button at the end of the story and you don't even know if there's hope. But you pray there is. Because you're looking at her and you have to hope. You have to carry on her hope. 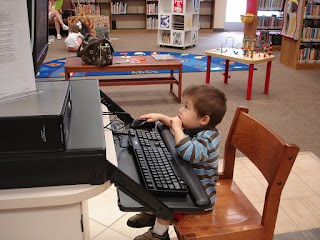 On Wednesday, January 16, 2013, the Innovative/Millennium computer system for all Public Libraries in Jefferson County will be down for the day to install two new servers. This technology upgrade also will limit access to public PCs at libraries, as well as access to reserve items, eBooks and audio downloadable items, and databases—services that can typically be accessed from home or business. However, most Public Libraries in Jefferson County will be open and able to facilitate physical item checkouts by using an alternate offline system during the technology upgrade. Some libraries will be closed today because of the upgrade. Computer services will resume in all 40 Jefferson County libraries the following day. Teens, get your poetry on at the Flow Tactics Teen Open Mic every 3rd Saturday from 6:00 to 8:00 p.m.at the YMCA Youth Center, 2400 7th Avenue North (near Phillips Academy). Admission is free. The sessions are for high school students only. To sign up to perform or for more information, e-mail johnpaul@reallifepoets.org. January's program is scheduled for Saturday, January 19. The staff of the Southern History Department is proud to unveil a project that’s been one year in the making. 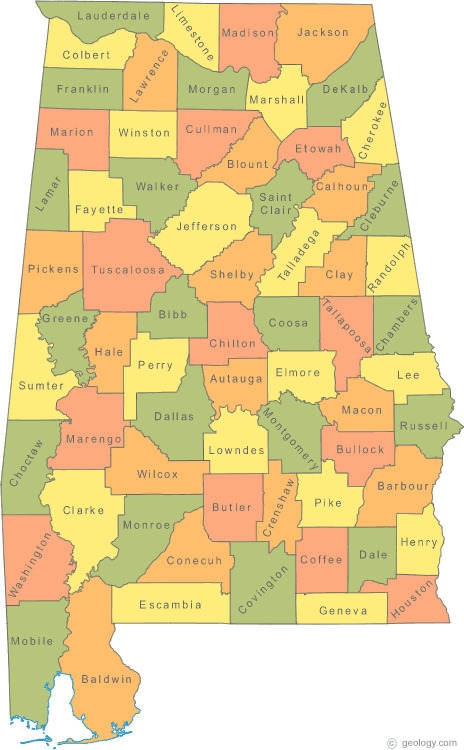 Our new subject guide, Selected Resources for Alabama Counties, is now almost complete. 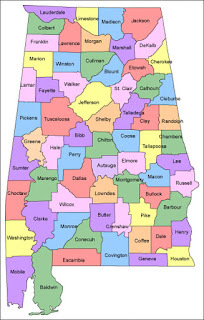 Each of Alabama’s 67 counties is represented with its own page and listing of library resources. The goal of this project was to create a user-friendly way for patrons and staff to see at a glance what books and records are available in the library for each individual county. Each county is divided into the following categories: Cemeteries and Church Histories; Census Records; City, County, and Family Histories; Court Records; Death Records and Obituaries; Land Records; Maps; Marriage Records; Military History and Records; Newspaper Abstracts; and Periodicals. For each category a list of titles is given with links to the library’s online catalog. Having all of the counties and their resources listed in one place is helpful to anyone who is planning a research trip. Since most genealogy sources are location specific, a researcher who is considering a visit can know in advance what we have to offer for a particular county. While not meant to be comprehensive, each county guide is meant to give patrons easy access to most used county records and histories. 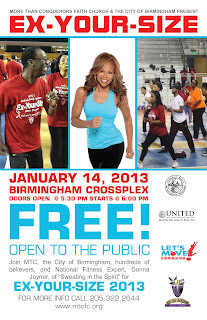 National fitness expert Donna Richardson Joyner will be in Birmingham on Monday, January 14, to help folks work up a sweat during a free workout session at the Birmingham Crossplex. Richardson is known for "Sweating in the Spirit'' exercise videos and involvement in numerous health initiatives. Doors open at 5:30 p.m. and the event starts at 6:00 p.m. There will also be informational booths about healthy living. The city of Birmingham and More Than Conquerors Faith Church are partners in this presentation. 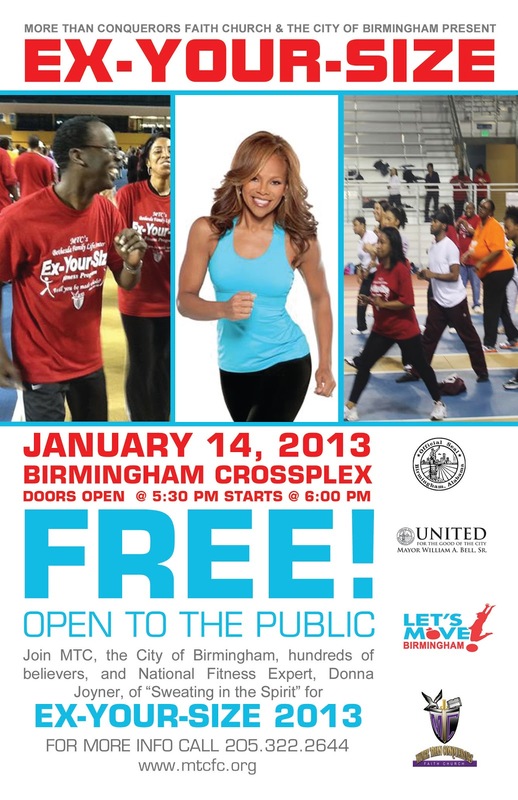 Monday's program is part of the city's Let's Move Birmingham campaign. The Birmingham Public Library supports the campaign and has several offerings in the fitness arena, including healthy living cookbooks, exercise DVDs, and more. An electronic spreadsheet is a computer program that is equivalent to a paper ledger sheet. It is used for storing, organizing, and manipulating data (numbers, text, times, currency, percentages, formulas, etc.). It consists of a grid, made from columns, rows, and cells (the intersection of a column and a row). A cell can contain value or data. You can create and manipulate spreadsheets (which are called worksheets). It can also produce graphs (known as charts) from your data and can link one worksheet to another. These applications have commonly replaced many paper-based methods and systems for business and personal purposes. At the Regional Library Computer Center, we teach two versions of spreadsheets: OpenOffice Calc and Microsoft Office Excel 2010. Registration for our January OpenOffice Calc classes, which are held in two parts, is full. However, you may call our department at (205) 226-3799 or (205) 226-3680 or fill out our online registration to inquire about future classes. I am often disappointed when seeing a film that has been made from a book I particularly enjoyed reading. In the case of The Silver Linings Playbook by Matthew Quick, though, I saw the movie first and then read the book. I found both the book and the film to be quite good in their own rights. The story is about Pat Peoples who has recently been released from the hospital where he has been treated for bipolar illness. He has made up his mind to live his life differently finding good where he used to see only the negative. He is certain that his new perspective will win back his wife, Nikki, who he has not seen since he entered the hospital. There are many entertaining characters in his life. There is his mother who supports him in every way, his distant father, his therapist who shares Eagles fandom with him, his brother Jake, his good friend Ronnie and Tiffany, Ronnie's sister-in-law. Tiffany decides to set her sights on Pat much to his bewilderment. The topic of mental illness is a serious one, yet there are many comic moments in the book. The changes in the story when it is translated to film are intriguing. Fortunately the humor remains. I recommend both the film and the book. I don't think it matters which you see or read first. I would like to hear thoughts from those who have experienced both. And do blog readers have any recommendations of their own of books which have successfully made the leap from page to film? Instagram appeared in the news quite often in 2012. The social media/photography smartphone app was purchased by Facebook last spring for one billion dollars and there has been a lot of hullabaloo in the past few months including an ongoing feud with Twitter as well as a new Terms of Service agreement that had many users in an uproar. Despite all of the recent negative press and some very public account deletions by professional photographers, Instagram appears to be a social media phenomenon that has staying power. The service has become extremely popular among teenagers and twentysomethings and has also made several positive steps toward the continual growth of its user base: it is no longer exclusive to iPhone users (the app has been available for Android smart phone users since last April) and it is slowly rolling out the ability to view the photographs of Instagram users on the web. At this point those unfamiliar with Instagram may be asking themselves, “Ok. Good to know, but what does Instagram actually do?” The answer to that question is that the application allows users to take photos with their phones (or to choose a photo from their iPhone’s camera roll or their Android device’s My Gallery), crop the image, then choose and apply an artistic filter to the image. Users may then upload the resultant image to the web along with a descriptive comment. You can follow other Instagram users and other users can follow your Instagram account, “like” your image, and comment on the image. Although that sounds very simplistic, the results are often stunning. The filters range from “Normal” (i.e. no filter) to “Hefe” (a filter that adds saturation and warmth to the colors in an image) and “1977” (a filter that desaturates the colors of an image so that they look like a faded color photograph) and the recently released “Willow” (a monochrome filter with a slight, purple hue). For example, the photograph below is a very plain photo, but the most of filters displayed below improve the quality of the original image and definitely make it more interesting. Like twitter, Instagram utilizes hashtags - which are an example of metadata (which simply means data about data) - to make the vast collections of images stored online easier to browse and search. Hashtags such as #photooftheday and #nofilter and #instamood are some of the most popular terms used to tag photos within the app. A search for these terms will bring up thousands of images - some breathtaking and some mundane. Since these are the most popular hastags on Instagram, most of the results are going to be self portraits taken in a bathroom mirror. Less popular hashtags will give you more interesting results. 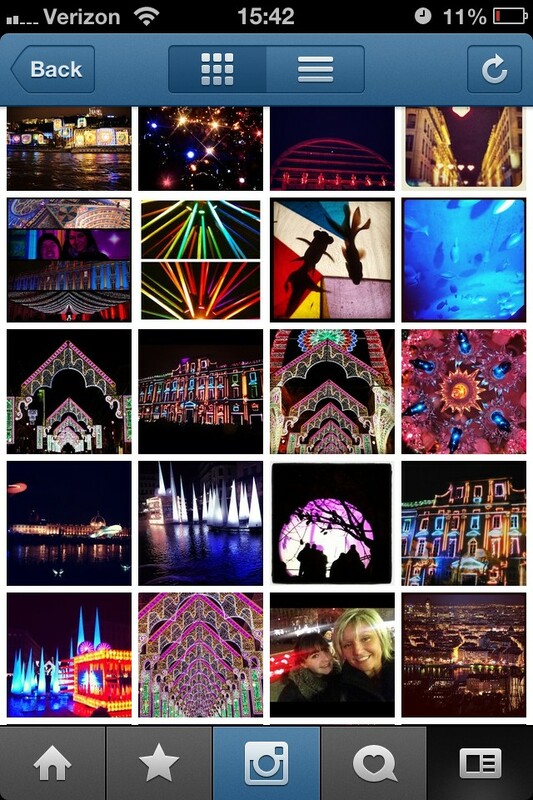 For example, a search for the hashtag #fetedeslumieres brings up a stunning series of images from the French city of Lyon’s Festival of Lights. Unfortunately, individuals without the smartphone app cannot search the images on Instagram itself, but they can use some third party websites such as Gramfeed to conduct their own hashtag searches. A quick search for the hashtag #instagrambham (a hashtag used by a group of Instagram users from around Birmingham) returns many interesting photos from around the Magic City. Instagram is a must have app for anyone with an Android or iPhone. It makes taking photos with your phone a much more enjoyable and creative experience. It also appears that Facebook is slowly incorporating the service into its social network –- so everyone who uses Facebook may become very familiar with Instagram in 2013. 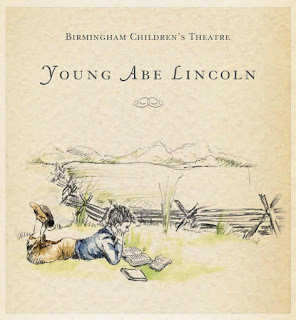 Birmingham Public Library (BPL), in partnership with Birmingham Children’s Theatre (BCT) and Junior League of Birmingham (JLB), and the Jefferson County Library Cooperative, would like to invite you to attend From Page to Stage: Young Abe Lincoln, a Readers’ Theatre Workshop for children, coming to a library near you! In anticipation of the upcoming BCT performance of Young Abe Lincoln, BPL will be hosting free workshops at some of its area libraries. Children, aged 7 to 12, will have the opportunity to learn how storybook characters come alive though the magic of a theatrical play. JLB will be on hand to coach the children through the play and introduce them to related literature within the walls of their local library. 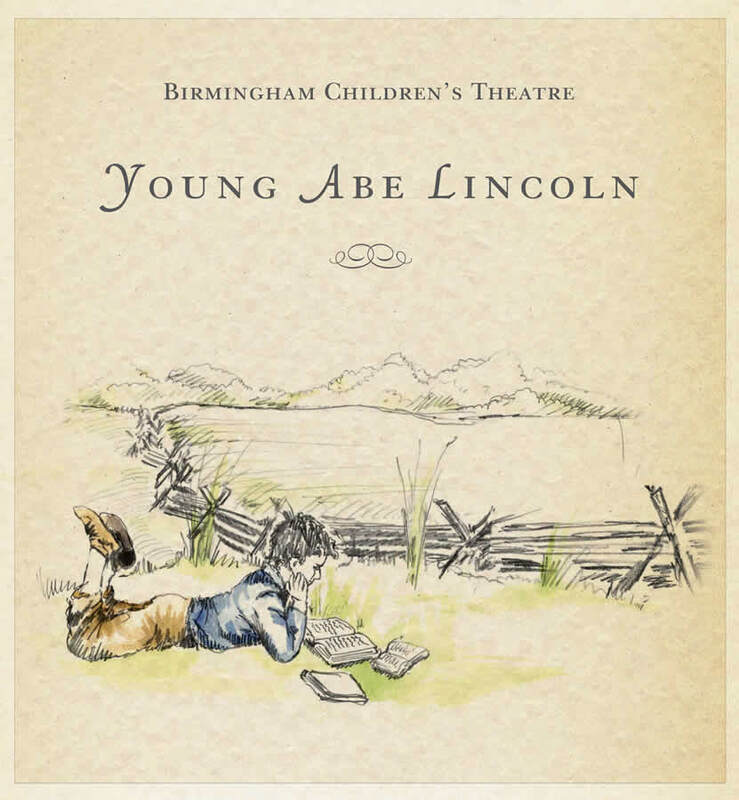 Each child will also receive TWO FREE TICKETS (one child ticket and one adult ticket) to the Birmingham Children’s Theatre’s Young Abe Lincoln production on Saturday, February 9 at 2:00 p.m.
Space is limited, so please visit http://tinyurl.com/Page2StageAbe to sign up now or visit/call a participating library to register a child for the workshop. A valid email address from the child or guardian is required to sign up. 3:00 p.m. - 4:20 p.m.
11:00 p.m. – 12:30 p.m.
For many of us it’s something of a tradition to make a New Year resolution. A casual glance at Yahoo.com, or The Birmingham News would lead you to believe that for most Americans the number one resolution revolves around losing weight before the ball drops next January 1. And here at the Birmingham Public Library the diet and exercise shelves do tend to get a bit thin (sorry about that) the first week of January. But we also see a fair number of patrons coming in to learn how to add weight. Specifically, these folks want to fatten their wallets; they’ve resolved to get rich in the coming year. For those of us who have little or no experience with the stock market, the best beginning is an introductory work on investment. Getting Started In Stock Investing and Trading by Michael C. Thomsett is one example, or the ubiquitous Dummies series has a volume on investing. Beginning books on investing usually cover current ratio, price/earnings ratio and other aspects of fundamental analysis. Some technical analysis topics such as support and resistance will probably also be touched upon. I personally suggest picking up a basic book that also explains “paper trading.” Paper trading is a system of simulated trading using a system of your choosing. There are multiple advantages to paper trading. One, you learn how the markets work. Two, you learn how to trade without having to pay a broker or service for the trades. Third, you gain this experience without any risk of losing your hard earned money. Thomsett’s book not only explains “paper trading” but actually lists several websites that offer free stock simulators. I mentioned choosing a system for paper, or practice, trading. Here at the Business, Science & Technology department we have a host of investing books which explain different investing methods and philosophies. These run the gamut from highly technical, such as books explaining the candlestick method, to more philosophical, like the Wall Street Journal Guide to Investing in the Apocalypse. After whetting your chops on stocks, you might want to dip into more exotic investments. 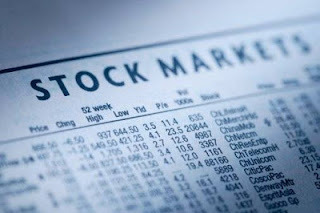 The Business, Science & Technology Department of the Birmingham Public Library has a large selection of books on various investments: real estate, precious metals, bonds, hedge funds, index funds, penny stocks, currency trading and options. (Caveat emptor. With some of the more complex investment methods you run the risk of losing not only your initial investment, but additional monies as well.) Who knows, perhaps you’ll be successful enough with this year’s resolution that your 2014 resolution will be to quit your day job and become a day trader. The WORD UP! 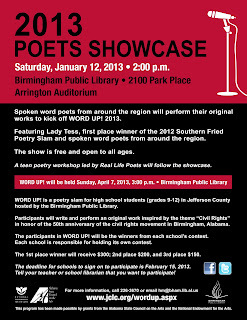 2013 Poets Showcase will be held on Saturday, January 12, at 2:00 pm in Arrington Auditorium of the Linn-Henley Research Library. Tessica "Lady Tess" Williams will be the headliner. She is the the first place winner of the 2012 Southern Fried Poetry Slam, which was held in June. She will be joined by other spoken word poets from around the region. 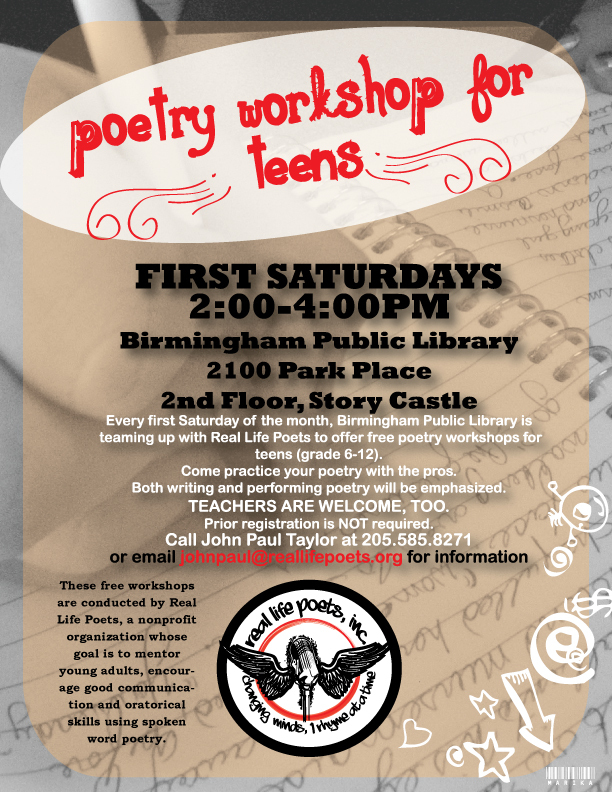 A poetry workshop for teens led by Real Life Poets follows the showcase. 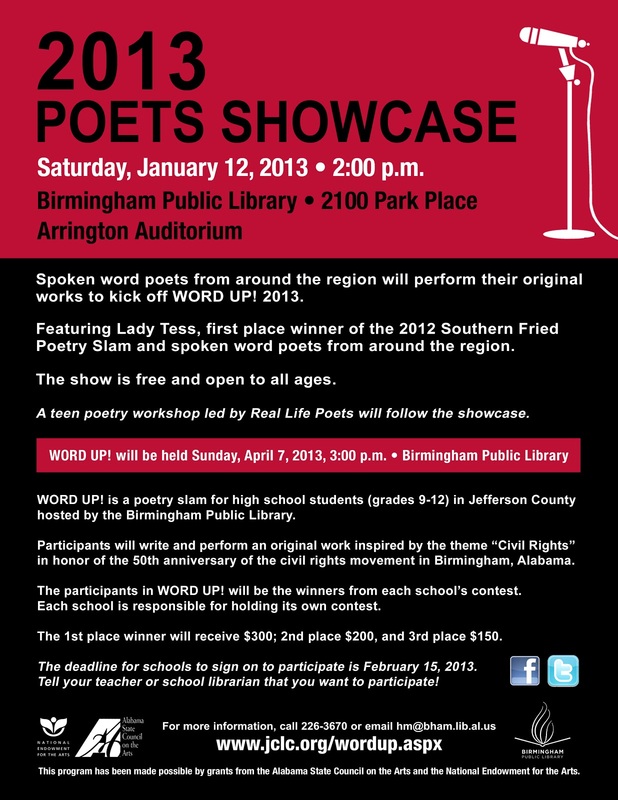 For more information on WORD UP 2013!, visit Birmingham365.org. However, most Public Libraries in Jefferson County will be open and able to facilitate physical item checkouts by using an alternate offline system during the technology upgrade. Computer services will resume in all 40 Jefferson County libraries the following day. For more information on WORD UP! 2013, visit Birmingham365.org. While I was working this past Saturday, I received a strange telephone call. The caller wanted to know about the Crochet Class at West End Branch Library. The class is taught by one of our terrific volunteers, Joan Black, every Tuesday at 10:00 a.m. I gave the caller the information and she then asked for directions. I asked if she knew where Princeton Medical Center was and she said, “No. What train do I take to get there?” I knew immediately that something was wrong; the only commuter train I know about in Birmingham is Amtrak. I quickly found out that the caller lived in Brooklyn, NY and thought she was calling the New York Public Library. Apparently, she found our classes online and just assumed that we were in New York City, too. I recommended that she contact the nearest branch of the New York Public Library about Crochet Classes. We had a good laugh and wished each other a Happy New Year. Because of this incident, I started thinking about crochet and knitting resources. On Tuesday, January 15, 2013, 6:00 p.m., at the Springville Road Library, Don Driggers of Vincent Gardens in Vincent, Alabama, will demonstrate the techniques of gardening without soil using solid medium and liquid nutrients. 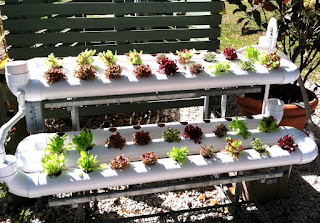 Hydroponics gardening is perfect for producing food year round, in small spaces, and with minimum physical labor. No digging, no weeding—just harvesting lots of healthy fresh food for your family. Urban and indoor gardeners will learn how to set up and maintain an inexpensive system and how to choose the best plants. Driggers will also show us the results of his own hydroponics program in which he had over 150 garden ripe tomatoes ready to harvest during the Christmas season. 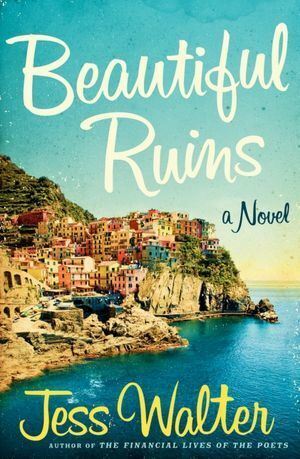 In his next novel, after The Financial Lives of Poets, Jess Walter offers us an engaging story, titled Beautiful Ruins, spanning fifty years in glamorous and exotic locales including Rome, Porto Vergogna, and Hollywood. The reader, at first, wonders why a young Hollywood starlet would flee the larger-than-life Roman movie set of Cleopatra (1962) and sail to a remote fishing village on the steep western coast of Italy. What do the working class locals, including a love-struck innkeeper, think of such a bizarre arrival? How does this connect with Hollywood operatives decades later? This literary novel, while not a thriller, captures the reader’s attention and imagination and holds both to the end. 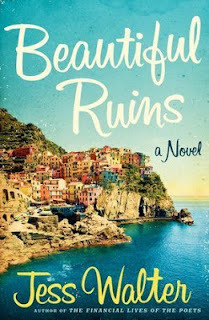 Themes of ruined beauty are gorgeously developed throughout—especially the coastal villages of Cinque Terre where colorfully painted small buildings are stacked and packed so steeply and precariously onto rocky cliffs that one can imagine them slipping into the Mediterranean Sea at any moment. While the novel is primarily literary, Walter still includes many madcap hijinks and unexpected coincidences to delight the reader. Not much of the plot and character development can be said here without creating spoilers. Fans of John Irving, Peter Lefcourt, and Nick Hornby will not want to miss Jess Walter’s Beautiful Ruins. 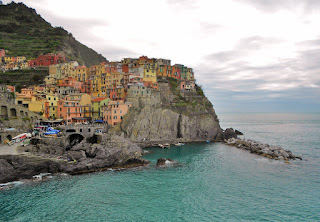 A coastal village in Cinque Terre. This review is only one of the many Birmingham Public Library staff reviews compiled in our recent publication, Books for All Seasons 2013. Be sure to pick up this gift at the nearest Birmingham Public Library location while supplies last. 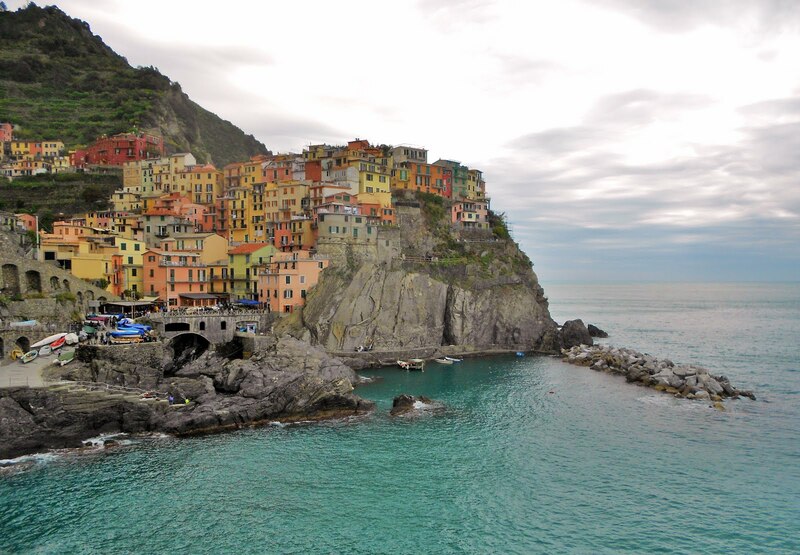 Should you ever have the good fortune to visit Italy, consider spending two or three days in the unbelievably picturesque Cinque Terre. It is an easy side trip from Florence or Pisa by train. In true SEC fashion, the Alabama Crimson Tide knocked off the Fighting Irish of Notre Dame, 42-14, in the BCS National Championship game. Truth be told, I was watching the game with my fingers crossed that Notre Dame would score at all. The game was out of reach so early, I was hoping it wouldn’t turn into a Week 1 blowout. Although Nick Saban waited until the end of the 4th quarter to take his starters out of the game, he probably could have done it at the beginning of the quarter. 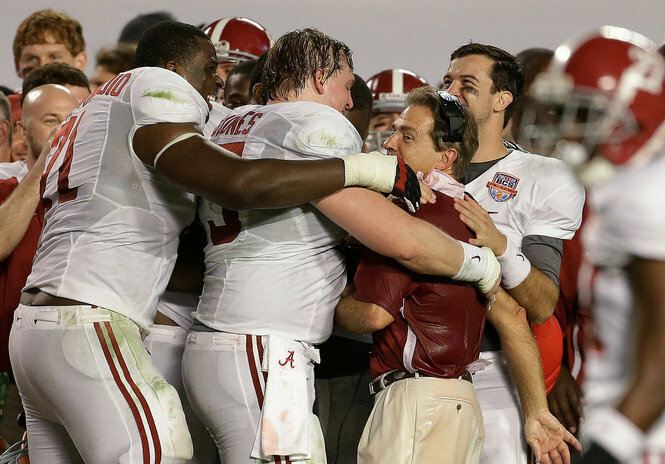 After the game last night, some of the players and reporters were talking about a football dynasty at Alabama. I’ll gladly climb aboard that train and add the following comment. The SEC is already a football dynasty and whether or not Alabama’s dominance continues, there will definitely be an SEC team hoisting the national championship trophy. ROLL TIDE!!! !